The spirit and tenacity of our Heartware volunteers is best encapsulated in our I-DARE values, first created during our re-branding in 2018. Any Heartware volunteer can tell you that their volunteer journey, though fulfilling, is anticipated with difficult decisions and even failures. To step-up, they have to DARE to take on the challenges, while maintaining true to themselves. 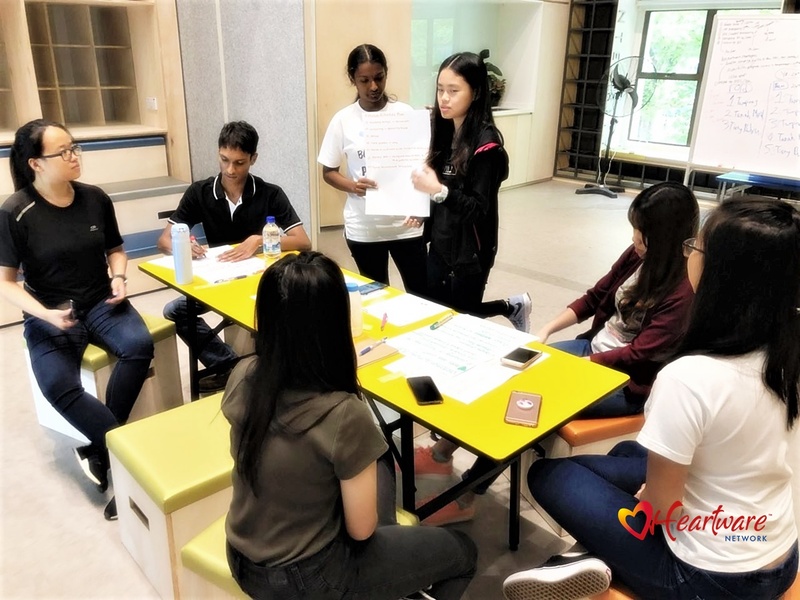 Our Heartware volunteer programmes are meant to challenge our youths to think smart and be street-smart, and not without sufficient preparation. 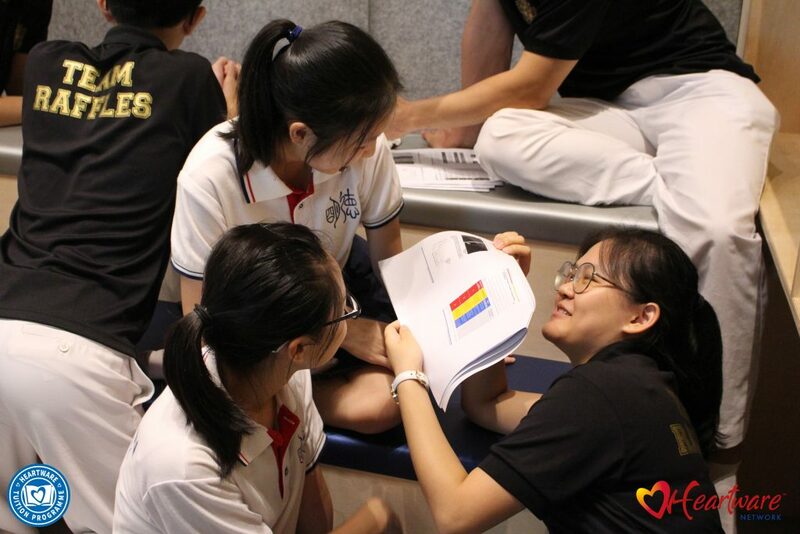 All volunteers undergo onboarding sessions where they will learn the knowledge, skills, and emotional awareness to understand what the programme is for and how they can contribute. Scenario: There is a fight in class that occurred between 2 good friends. Subsequent lessons saw them either bad mouthing each other or just not talking. Worse still, you’re tutoring the both of them. What would you do? Scenario: During a visitation, an elderly man had a sudden burst of outrage, talking about how his children kept coming up with excuses to not come and even pay him a 15-minute visit. What would you do? 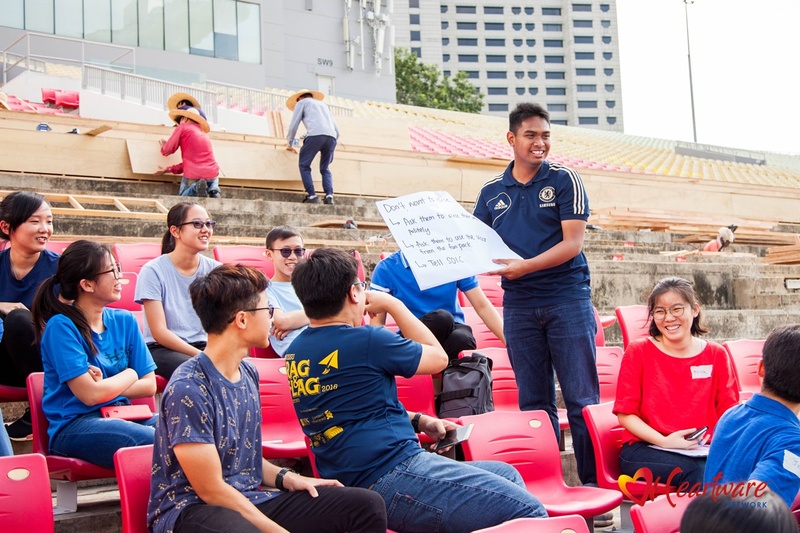 Scenario: Some spectators are reserving seats for their friends who are coming late, and they are adamant about not giving their seats due to the large influx of people. What would you do? I “Even though I understand their concerns, I cannot close a one eye for this. If I allow them to do as they wish, there will be many empty spaces in between spectators. , especially when this group comes in to slot themselves in. So, no they do not reserve. Got an idea on how to use I-DARE now? Always keep it in mind when serving others. If I-DARE, you would definitely dare too!